Port Blair, May 2: The Chairperson, Port Blair Municipal Council, Shri P.B. 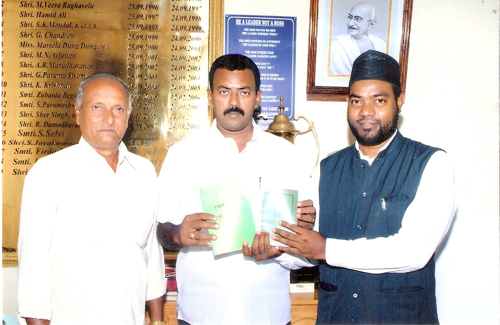 Murugan on 1st May 2013 released two books titled ‘What Is Admadiyyat’ and ‘Hazarath Mohammed Ka Pavitra Jeevan’, related to Ahmadiyya Community. The books have been written by Shri S. K. Mohammad Zakaria, H.A., Missionary Incharge, Ahmadiya Majid, Lamba Line.